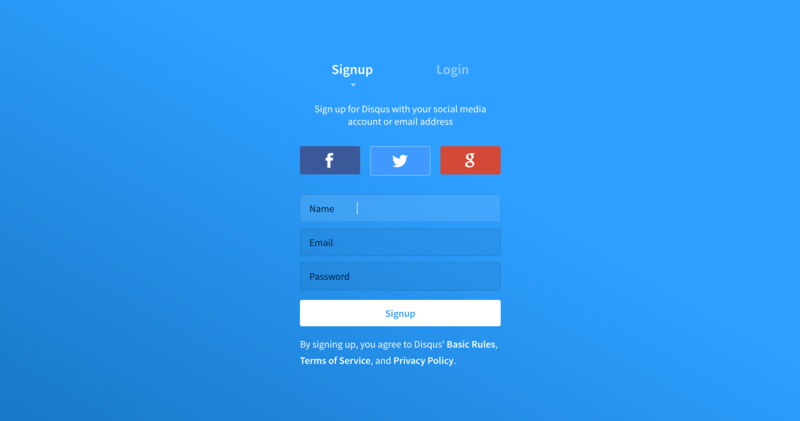 Disqus' sign up page is pretty standard. Being able to sign up with a social media account is convenient, but it seems like email is the preferred method. Nothing too crazy here, and there is certainly room for some creative UI improvement! 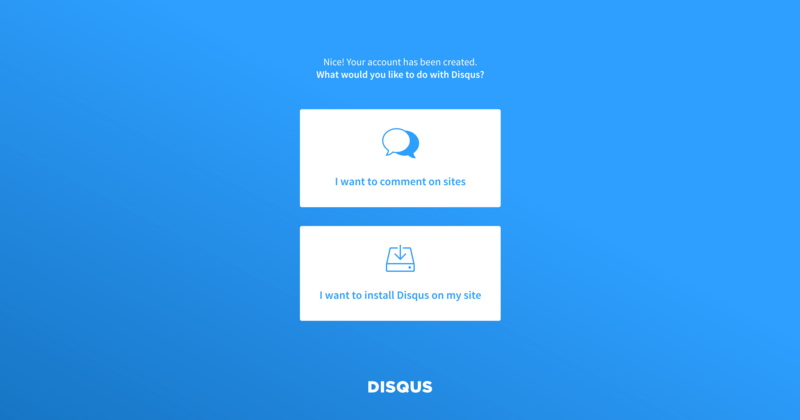 Since Disqus' product serves two different purposes, these decision modals seem like a good idea. Catering a users onboarding experience to their specific needs will increase the speed at which a user first receives value from your product. Nice UI here, good use of relevant emojis and colorful imagery. Plus, the progress bar is super unique and fun, with a small blob-icon verbally helping you choose 3 channels to follow! Creativity is key in good onboarding -- make your user experience fun and unique!